Hallo ..Today is a day …Notre Dame is in flames and I finally finished the video for our newest song. 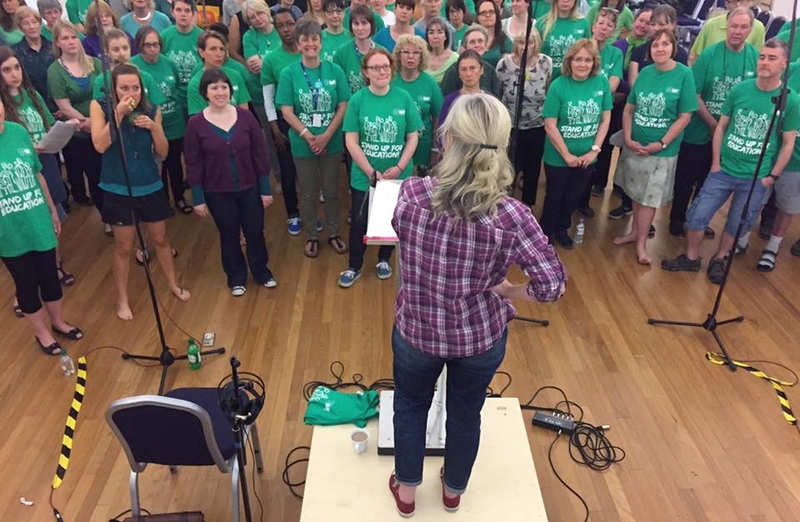 It is a very special song because 36 of my singers over 3 choirs ( UCL Staff Singing Club, the Tubthumping Chorus, and The Old Bishops Community Choir) took up the challenge to sing the chorus into their phones while listening to their track on computer laptop with headphones and send me the result. It is hopeful and melancholic at the same time.There are 4 mixes on the new EP on bandcamp , one has the choir featured more heavily..but if you know they are there you definitely can hear the beauty they add to the song. Am going to do this again..so get your headphones ready, as you could be next..,thanks everyone.